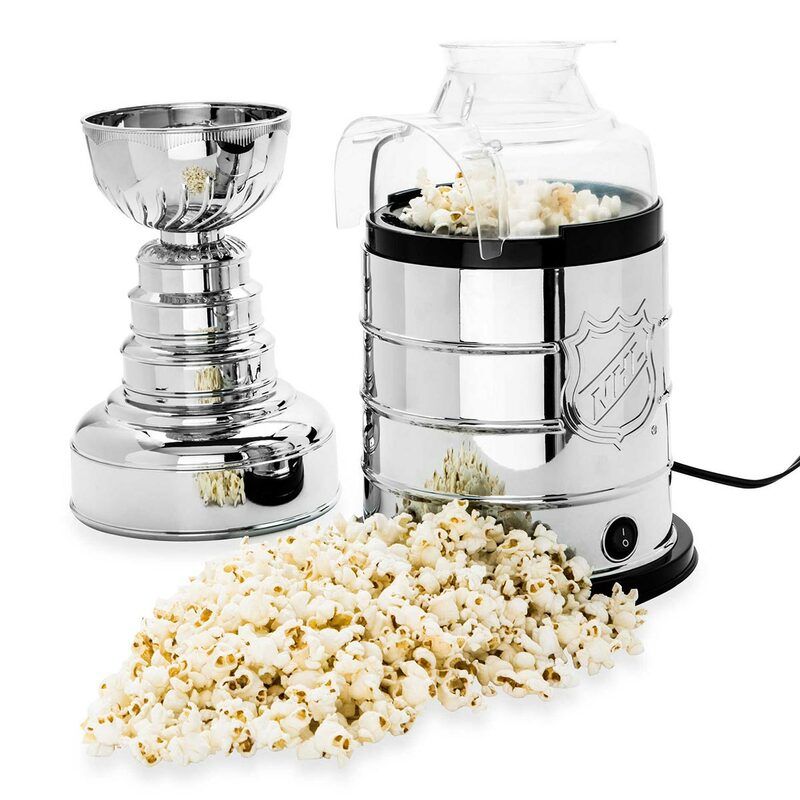 You may not have just won the Stanley Cup like the Washington Capitals, but you can still take home the coveted trophy with the NHL Stanley Cup Popcorn Maker. 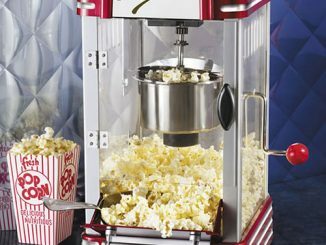 This replica of the Stanley Cup opens to reveal a popcorn maker that quickly air pops healthy popcorn with no oil needed. 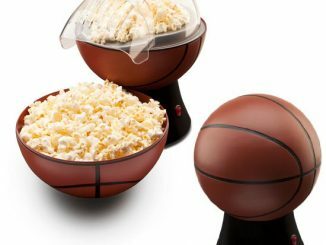 The bowl of the cup becomes a serving bowl, so you can snack like a champion. 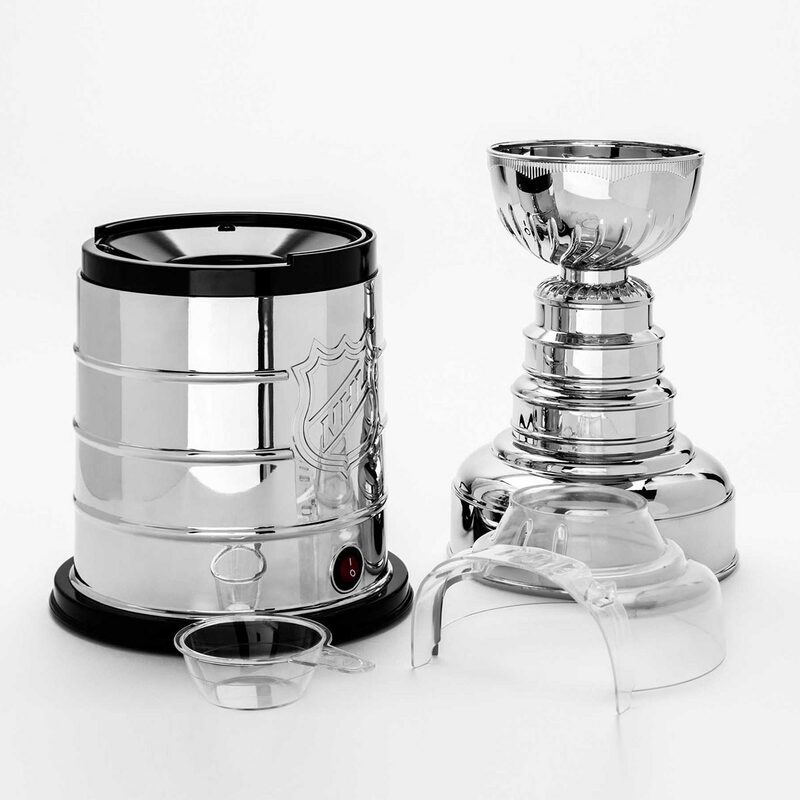 Transform your kitchen into a trophy case when you display this NHL Stanley Cup popcorn maker from Pangea. 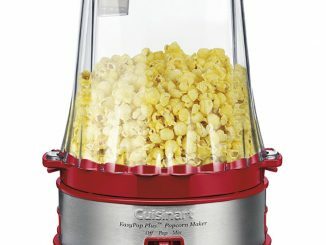 This tasty treat maker will have you snacking like a champion in no time with its hot air popping system that requires no oil. 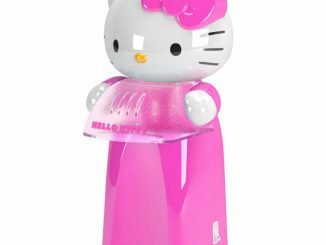 Standing 17″ tall, this machine will have your house smelling like victory in no time. 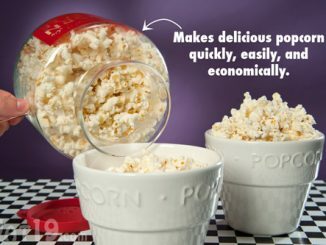 When your popcorn is ready, transfer it to the top of this replica Stanley Cup for a unique way enjoy your freshly popped popcorn. 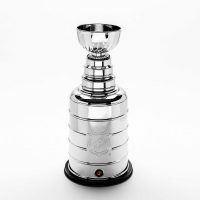 Many things have been consumed out of the bowl of the Stanley Cup: champagne, beer, cereal, coffee. 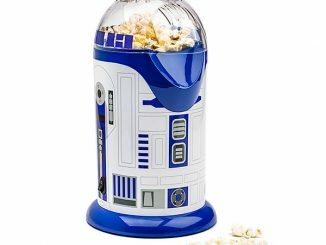 But now popcorn? 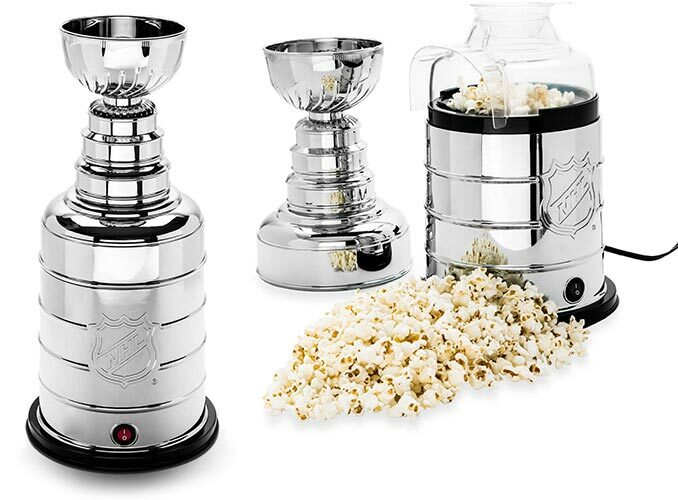 Behold the Stanley Cup Popcorn Popper, a 17-inch tall replica Stanley Cup that opens to reveal an air popper. 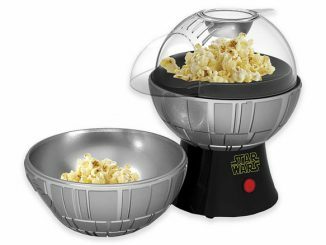 The bowl of the Cup then transforms into a serving bowl for the popcorn. 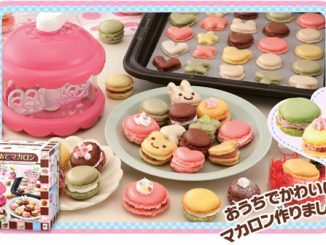 Snack like a champion! 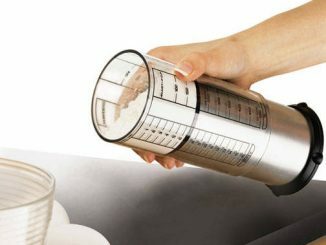 Includes Measuring cup made of transparent PC material with 1/2 cup marking. 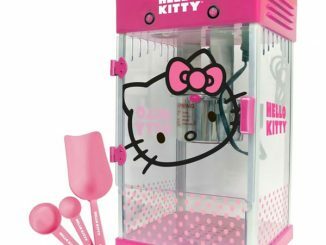 Popper has canopy with 5 air vents made of transparent PC material. 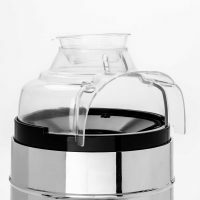 Front chute collar bakelite (phenolic) material. 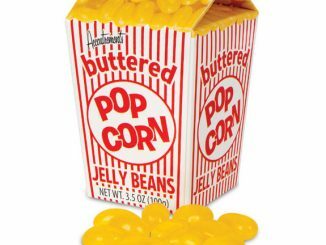 Aluminum tub. 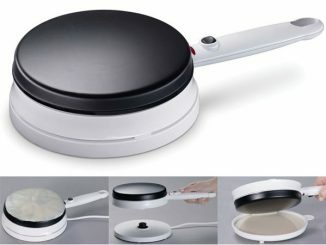 Vertical current fan heater. 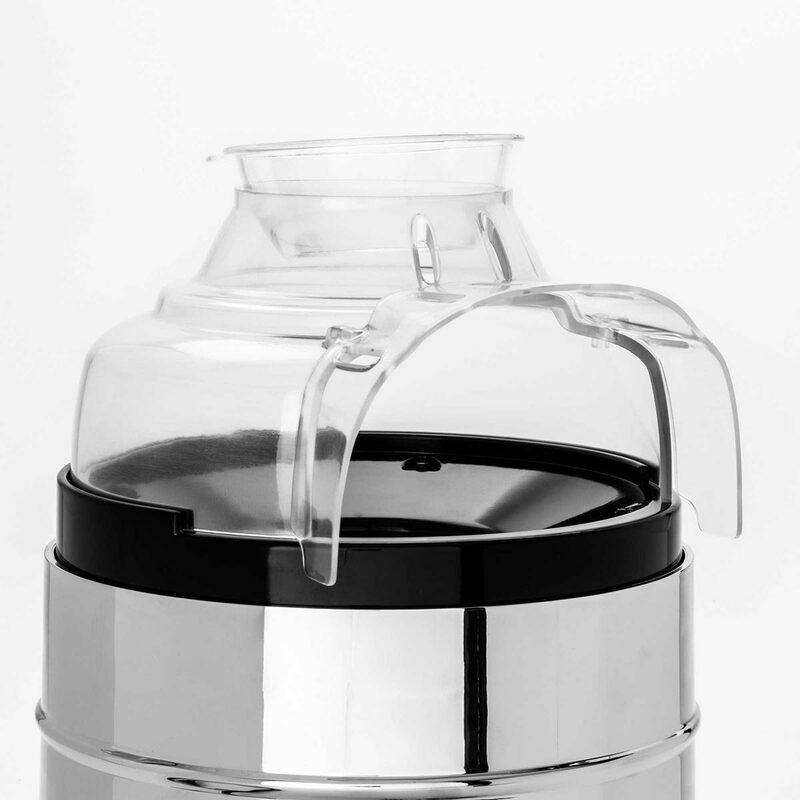 Main housing, electroplated plastic. Illuminated rocker power switch with black surround and red LED illumination and Red lens cover. 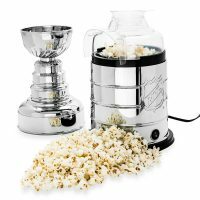 Buy the NHL Stanley Cup Popcorn Maker for $69.99 at Home Depot. It is also available at the NHL Shop and Bed Bath & Beyond. 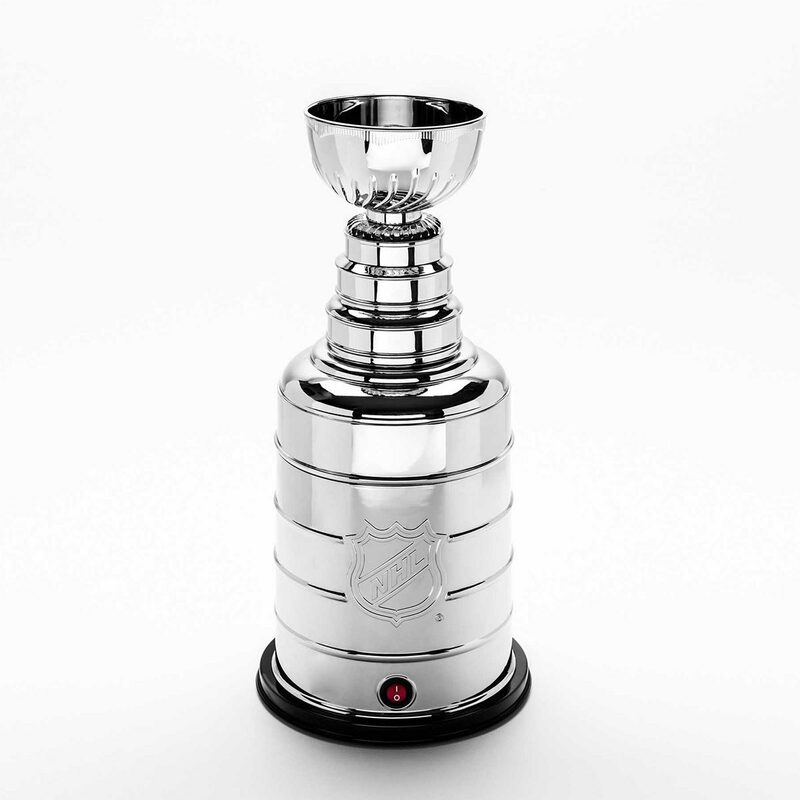 It is officially licensed by the NHL and made by Pangea Brands.